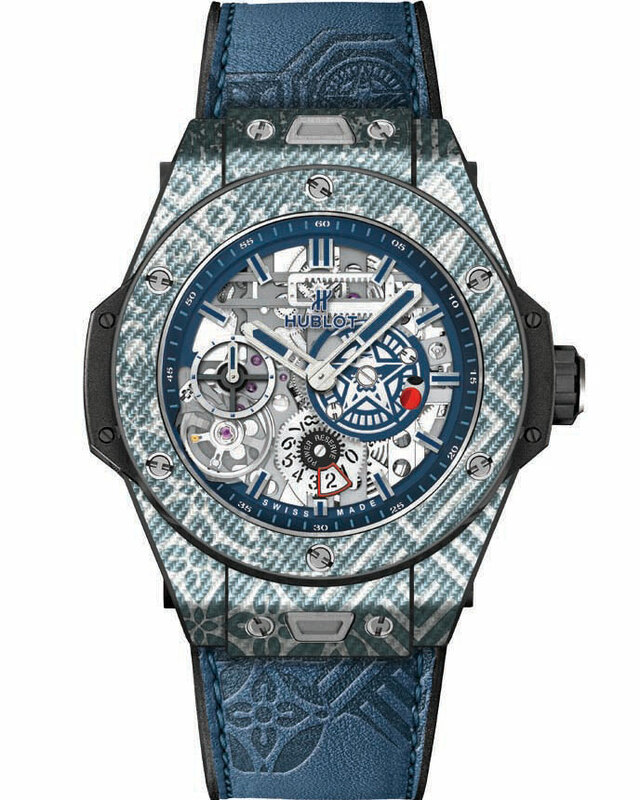 Street artist Shepard Fairey dishes on his first-ever timepiece collaboration with Hublot. What about this collaboration appealed to you? SHEPARD FAIREY: I’m a big fan of a handsome watch design and like the challenge of working on this limited canvas. Making something unique but functional is fun for me. It’s like a painting on your wrist! Details on the watch, please! SF: My star-gear symbol is in the actual mechanism of the watch, and I got to embed my graphics into the case with a floral pattern extending throughout the straps. What message does the watch send? SF: This watch asks the viewer to look at the subtle details, not just the big picture presented to you.